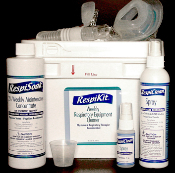 Common and convience accessories used for CPAP, BiPAP, BiLevel and related therapies. 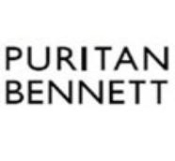 This include cleaning supplies, power options, inverters and other options available for various machines from manufacturers such as AEIOMed, Care Fusion (Cardinal Health, Viasys), CPAP Pro, DeVilbiss, Evo, Fisher & Paykel, Innomed, Invacare, Philips Respironics, Probasics, Puritan Bennett (PB, Covidien), RemZzzs, Resmed and SleepNet. CPAP Accessories for AEIOMed systems. CPAP Accessories for Evo systems. CPAP Accessories for Hans Rudolph mask systems. CPAP Accessories for ProBasics systems. 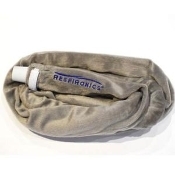 RemZzzs mask liners can make you mask a better, quieter, more comfortable sleep experience. Helps prevent condensation of water in your tubing. Corrugated Tubing Adapter with Lip, Male 22mm. 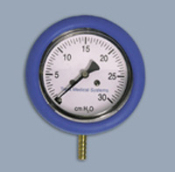 CPAP/BiPAP Pressure Gauge - Dial, 0-30cmH2O. CPAP/BiPAP Pressure Gauge -Vertical, 0-18cmH2O. RoEzIt skin moisturizer with aloe vera and emu oil to soothe skin irritation and it won't damage your mask. 1 oz. tube. RoEzIt skin moisturizer with aloe vera and emu oil to soothe skin irritation and it won't damage your mask. 2cc Unit Dose. Test Lung, Latex Fre, for ventilators, CPAP, BiPAP and more.